This item is great addition for your wedding centerpieces. Place this charming tray on your black entrance console table as a trinket tray to hold your keys and mail as you come and go. 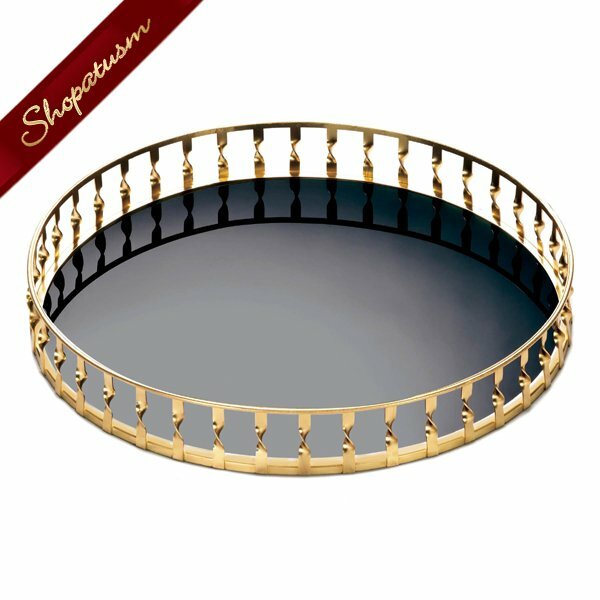 It can also be used as a decorative accent on an ottoman, vanity or for serving drinks when entertaining your guests. Iron and glass. Measurements: 15" x 15" x 2" high. Weight: 2.8 pounds.